I-CAR announced Monday that State Farm had secured corporate Gold Class, joining Top 10 auto insurer peers Allstate, USAA and Nationwide in securing I-CAR’s top status. The accomplishment follows State Farm’s commendable, industry-leading 2017 demand that all Select Service direct repair program facilities pass all three I-CAR welding certifications. Every DRP shop needed to have both steel certifications by Dec. 31, 2017, and the March 31 deadline for aluminum certification is approaching fast. Top 20 insurers Erie, MetLife and Kemper (if you count the three AAAs as a single company, Kemper rises from No. 22 to 20) also have made the short list of Gold Class insurers. Only 31 carriers have achieved Gold Class. I-CAR’s insurance Gold Class program accommodates the kind of turnover insurers can experience by greater emphasis on adjusters making ProLevel 1. Under rules revised in 2013, I-CAR demands 60 percent of an insurer’s appraisers make ProLevel 1 by the end of a year. At that point, a carrier is considered Gold Class. 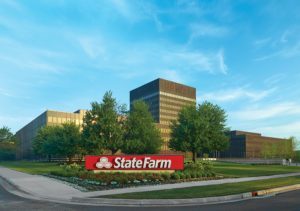 By the end of Year 2, 80 percent of State Farm’s appraisal staff will have to be ProLevel 1, and 50 percent of the overall adjuster base will need to be ProLevel 2. By 2020, 40 percent of State Farm’s adjusters must be ProLevel 3, and 80 percent of them need to have achieved at least one of the three ProLevels. In 2021 and beyond, State Farm will need similar ratios, and all 80 percent of its staff must do 6 credit-hours of training a year. The benefit of this from a collision repair perspective should be a more informed State Farm appraisal staff and easy grounds to set straight the few errant State Farm adjusters (and their counterparts at other Gold insurers) who suggest one’s auto body shop should conduct an improper repair. The latter should be a shrinking minority, for more than half of State Farm’s adjusters today have by definition already been trained to ProLevel 1 by I-CAR, and only 20 percent will be untrained starting in 2019 if State Farm sticks with Gold Class. For the record, I-CAR says that collision repairers should follow OEM repair procedures and consider them “service requirements.” A Gold Class insurer’s workforce at or soon to be 80 percent Platinum techs should know this, a point which can be explained to a customer as well. ProLevel 1 training for an adjuster regrettably doesn’t include structural damage analysis (it isn’t needed until the next ProLevel 2 year, even though presumably appraiser workloads include more than completely superficial damage.) However, the required nonstructural “Exterior Panels Damage Analysis” course does include door intrusion beams. Other required ProLevel 1 coursework topics include damage analysis from hail and vandalism, analysis of damaged advanced materials, electric vehicle safety, the considerations and steps involved in a shop using a recycled part and seat belt analysis. By the time an appraiser hits ProLevel 3 — and remember, 40 percent of State Farm’s team will have done so by 2020 — they’ll have received courses on subjects like structural damage, steering and suspension, glass, fire and flood damage, and post repair inspections. Like State Farm’s embracing of aluminum F-150 training in 2016, the carrier and its competitors’ Gold Class status and education also throws down a gauntlet to shops. If both massive carriers and the insurer equivalent of mom-and-pop shops are Gold Class, why aren’t you?